The unveiling this week of an Art Nouveau plaster relief, said to have been designed by Gustav Klimt, carried all the hallmarks of an intriguing story of artistic discovery. But the possibility of a connection to Klimt has been dismissed by two leading authorities on the artist. Showing the flowing lines and bold typography typical of Art Nouveau, the piece in question is an advertisement for Ehrbar, an Austrian piano maker, and was discovered by the architect and interior designer György Selmeczi in 2016. As reported by the Hungarian news agency MTI, Selmeczi presented the relief at a meeting of the Association for Hungarian Interior Design on 15 January, saying that his research suggested it had been designed by Klimt. Having first come across the piece while working on an apartment that had once been Ehrbar’s Budapest showroom, Selmeczi said it was possibly a special order made by the company ahead of Hungary’s 1896 millennium celebrations. However, Alfred Weidinger, the art historian and Klimt expert who is the director of the Museum der bildenden Künste in Leipzig, says he heard about the same piece many years ago and it had “nothing to do with Gustav Klimt”. Suggesting it was fairly common for work to be misattributed to Klimt, Weidinger adds that he had “about 150 stories like this one” and did not appear to feel it merited further investigation. Peter Weinhäupl, the director of the Vienna-based Klimt Foundation, agrees with Weidinger. He says that, in his opinion, “there is no connection to Klimt”, and that the quality of the relief does not convincingly match that of the artist’s designs. 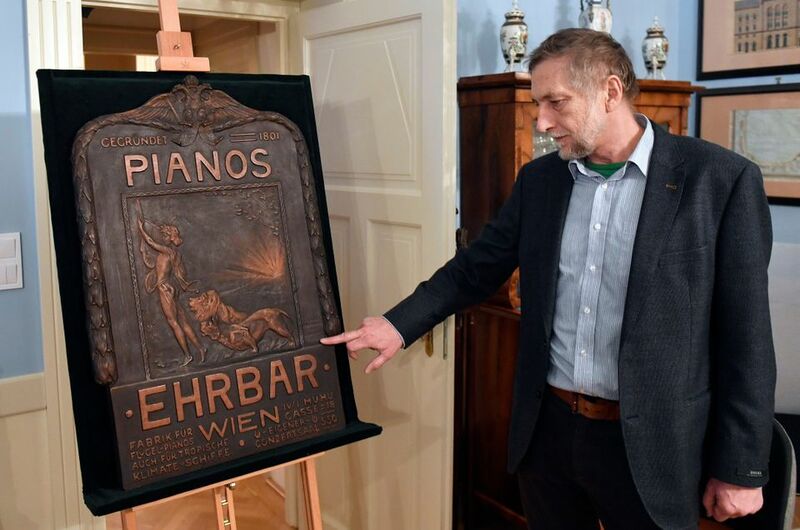 Weinhäupl also points out that, while Klimt’s brother, Georg, produced a lot of reliefs, photographs of the Ehrbar relief show that it is marked with the name of an unconnected atelier. Most of Georg’s reliefs, Weinhäupl says, were engraved with his own name. He adds that to be sure, he would need to see the work in person rather than as a photograph, but he doubts that his opinion will change. The news of the possible discovery has spread across Hungarian online media, with reports pointing to the incorporation in the relief of elements typical of Klimt’s art, such as laurel wreaths, lyres and gilding. Selmeczi did not respond to a request for comment.